When he died at the age of thirty-seven, Vincent van Gogh left a legacy of over two thousand artworks, for which he is now justly famous. But van Gogh was also a prodigious writer of letters—more than eight hundred of them, addressed to his parents, to friends such as Paul Gauguin, and, above all, to his brother Theo. His letters have long been admired for their exceptional literary quality, and art historians have sometimes drawn on the letters in their analysis of the paintings. And yet, to date, no one has undertaken a critical assessment of this remarkable body of writing—not as a footnote to the paintings but as a highly sophisticated literary achievement in its own right. 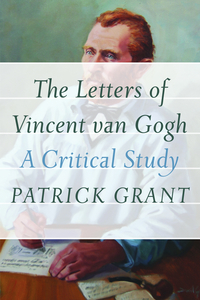 Patrick Grant’s long-awaited study provides such an assessment and, as such, redresses a significant omission in the field of van Gogh studies. 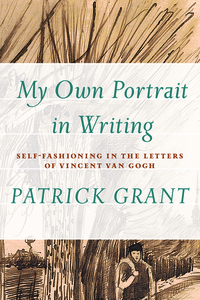 As Grant demonstrates, quite apart from furnishing a highly revealing self-portrait of their author, the letters are compelling for their imaginative and expressive power, as well as for the perceptive commentary they offer on universal human themes. Through a subtle exploration of van Gogh’s contrastive style of thinking and his fascination with the notion of imperfection, Grant illuminates gradual shifts in van Gogh’s ideas on religion, ethics, and the meaning of art. 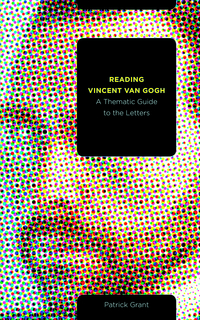 He also analyzes the metaphorical significance of a number of key images in the letters, which prove to yield unexpected psychological and conceptual connections, and probes the relationships that surface when the letters are viewed as a cohesive literary product. The result is a wealth of new insights into van Gogh’s inner landscape. A mature scholar and established literary critic, Patrick Grant is professor emeritus of English at the University of Victoria. He is the author of Buddhism and Ethnic Conflict in Sri Lanka, Literature, Rhetoric, and Violence in Northern Ireland, and Personalism and the Politics of Culture among other works. "My Own Portrait in Writing"